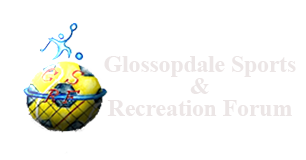 Established in 1985 our clubs are situated throughout the Tameside and Glossop area of Greater Manchester. 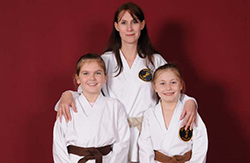 Our family orientated classes are designed to teach karate and self-defence in an enjoyable, informative and safe environment. 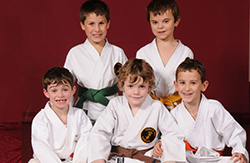 Our classes are suitable for all the family (children 5 years +) and so kids, teenagers and mums and dads can all enjoy keeping fit and having fun whilst learning this exciting Japanese Martial Art. 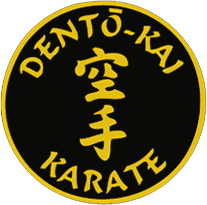 For adults who want to train in a more formal environment we also run an Adult/Senior Class at our Denton Dojo which is held after the Family Class. 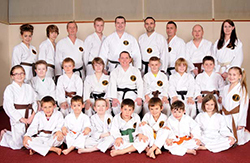 Our Instructors are fully qualified black belts with many years' experience in teaching all age groups, and to people of all sizes and levels of fitness. We make new members feel very welcome from the start and encourage you to gradually develop your skills and fitness at a pace that suits you. There are no egos to contend with at our clubs and we make sure that self-control, respect for others and courtesy form the basis of every lesson. We strongly believe that to become a martial artist you must learn to follow the 'martial way', and therefore we promote these values in our classes. This is why parents like their children to learn karate as it encourages them to become responsible people and channels their energy levels in a positive and productive way. 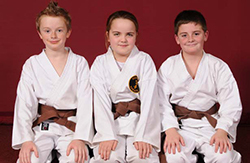 It teaches children that fighting is a last resort and equips them with the skills to defend themselves when necessary. Our aim is to teach children in a positive and enjoyable environment, as experience has proven to us children respond better to this way of learning. Our members' well-being and development is our number one priority and we achieve this by making our lessons fun, enjoyable and safe. Our adult members also find the training just as challenging and rewarding as our younger members do. This is the appeal of karate in that everyone can feel included and positive about their own achievements in their training. 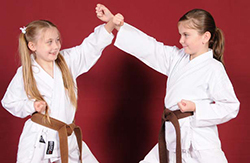 Karate is great for building self -esteem and inner self confidence as you start to make progress and move up the belts. This will give you a real sense of personal achievement and inspire you on to move up the grading ladder towards your black belt. Ultimately, learning karate is a great way to keep your body and mind active as part of a healthier lifestyle. There are lots of new and exciting things to learn in karate that will leave you wanting for more each lesson as you continue to make progress in your training.